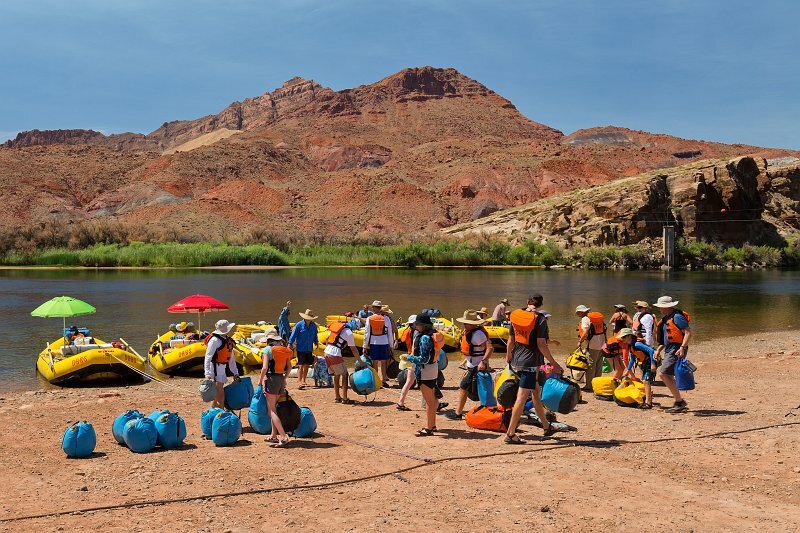 Lee's Ferry is a site on the Colorado River about 12.1 km (7.5 miles) southwest of Page, Arizona and 14 km (9 miles) south of the Utah–Arizona border. Due to its unique geography – the only place in hundreds of miles from which one can easily access the Colorado River from both sides – it historically served as an important river crossing and starting in the mid-19th century was the site of a ferry operated by John Doyle Lee, for whom it is named. Boat service at Lees Ferry continued for over 60 years before being superseded by a bridge in the early 20th century, which allowed for much more efficient automobile travel.